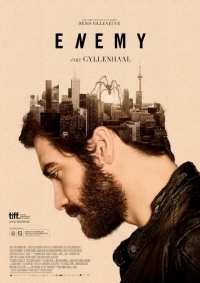 We don't usually post featurettes for films but I feel so strongly about the power of Denis Villeneuve's Enemy (review) that I'll seize any opportunity to plug the movie, especially an opportunity like this one in which the director, cinematographer and actors divulge what they interpret the movie to be about. This short clip is completely spoiler free and it's interesting to note that everyone involved seems to take something a little different from the story and the process of collaboration that resulted in the final product, a movie which is likely one of the best of 2014. Enemy is now exclusively available on DirecTV and opens theatrically on March 14. If you have the opportunity to see it, I highly recommend that you take it.